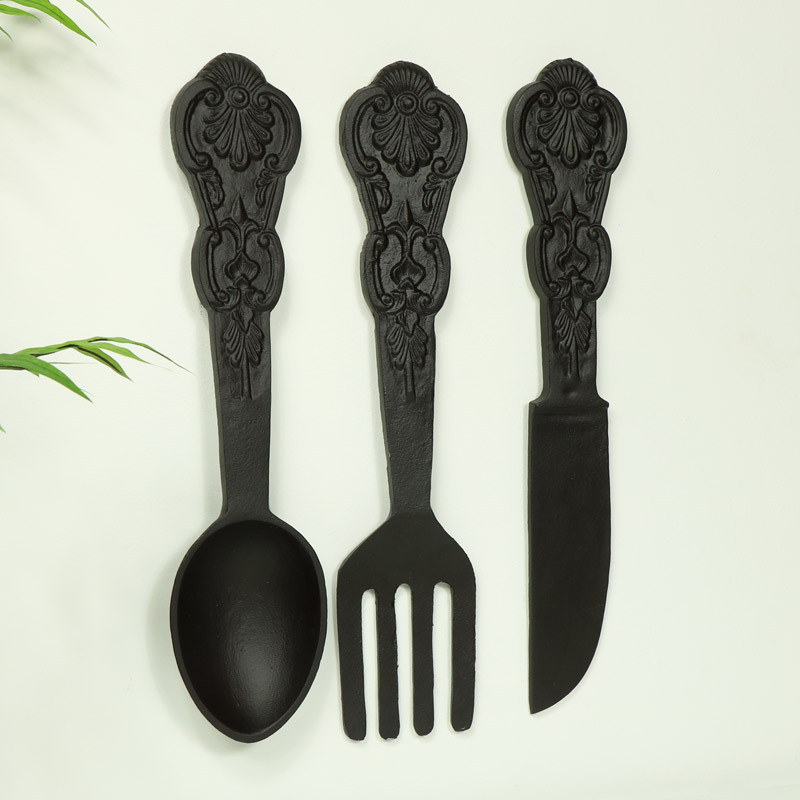 Wall mounted oversized cutlery set in a rustic black finish. Decorative home decor accessory that will add some rustic, vintage style to the kitchen and will also look fab in a little bistro of cafe. Display on the wall in the kitchen for a quaint look. 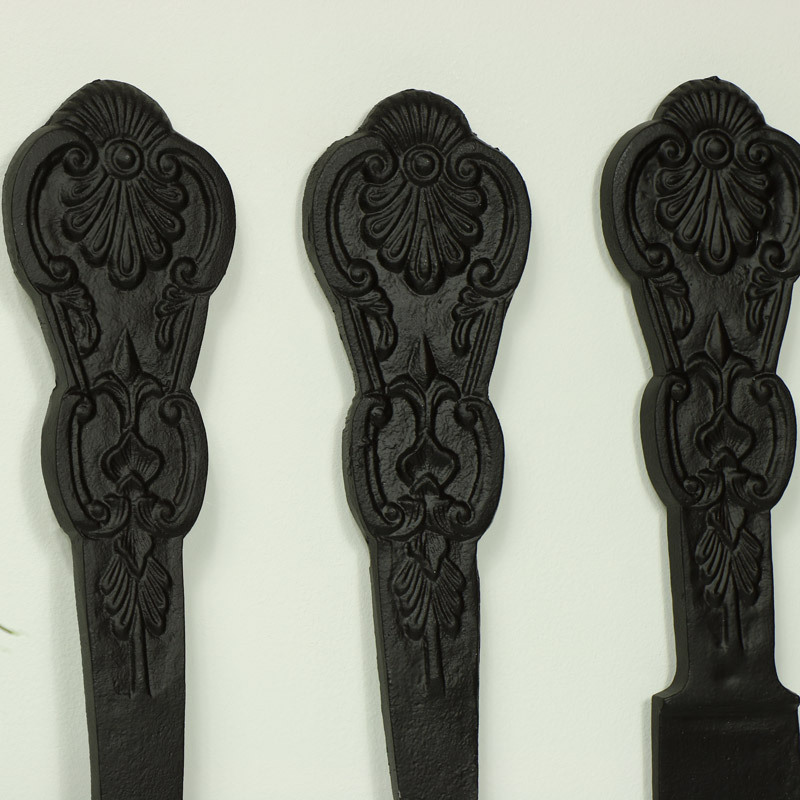 Ornate patterning on the handles. The set features a knife, fork and spoon. More colours available. A great gift idea for the chef of the house.